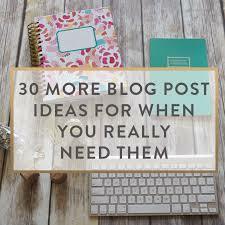 After the success of my last post with blogging ideas in, I thought I would share another 30 ideas for you! Have you used any of these yet? Let me know in the comments below!